So, just before Christmas five months ago I loaned $50 to a group of women who sew things. That’s them to the right. 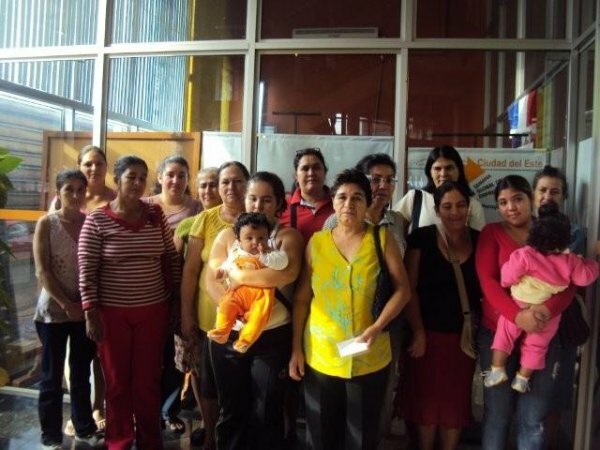 They live in Cuidad del Este, Paraguay, and together they call themselves, Mujeres Virtuosas – that is, Virtuous Women. My micro-loan was a small portion of the $3,225 they had requested to purchase fabrics, thread, needles, buttons, and other supplies as they strive day to day to give their families the basics of a worthy life without hardships. Last month they repaid my loan in full. That’s right; my $50 was back in my account, as was the other $3,175 into other loaners’ accounts. And 6,800 miles away in Cuidad del Este fifteen women are on a self-supporting path to a better life.